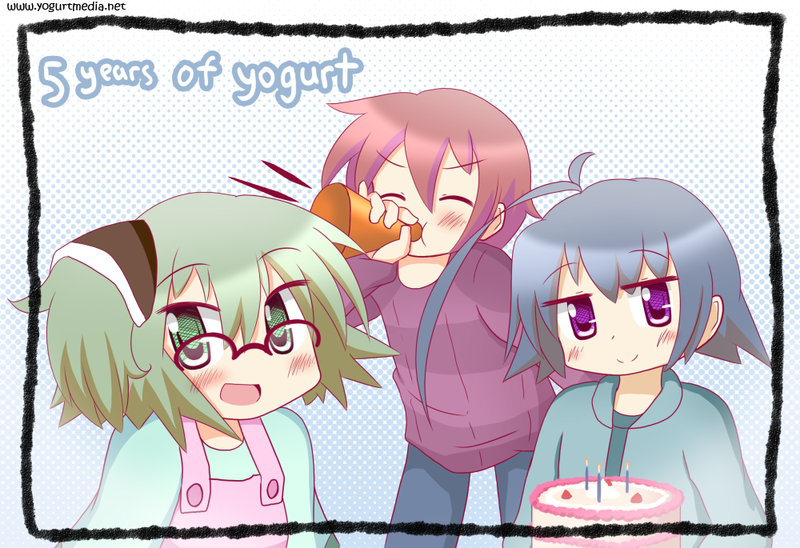 Happy birthday Yogurt! Well actually, it’s more of an anniversary of the day that the whole Yogurt Project was first conceived. I’ve been celebrating this day ever since the project came about. It was only natural for it to be Yogurt’s birthday as well! Looking back at those five years, it really feels like there is a direction this time around. It’s very hard to believe that it has been five years already, from the time I first drew Yogurt as a oddly shaped stick figure in a Flockdraw room, right up until the comics I’ve been working on today! I can’t say that there has been much technical improvement at all, but I can certainly say that it got a lot more colorful. I hope to keep it up and improve over time. Thank you!